Romance needs no special occasion to be celebrated; everyday should be a special day for romance. But since sometimes we are busy with everyday responsibilities, we usually need a special place to celebrate special occasions such as anniversaries of engagements. When we think about the perfect place, what comes to our minds is the right combination of soothing music, exclusive wines, maybe candlelight and even beautifully designed gourmet dishes among many other details. Bangalore is well known to be a city of great weather. This makes it, also, a great place for candlelight romantic dinners. Here, we will give some amazing options of the best romantic restaurants on Bangalore. 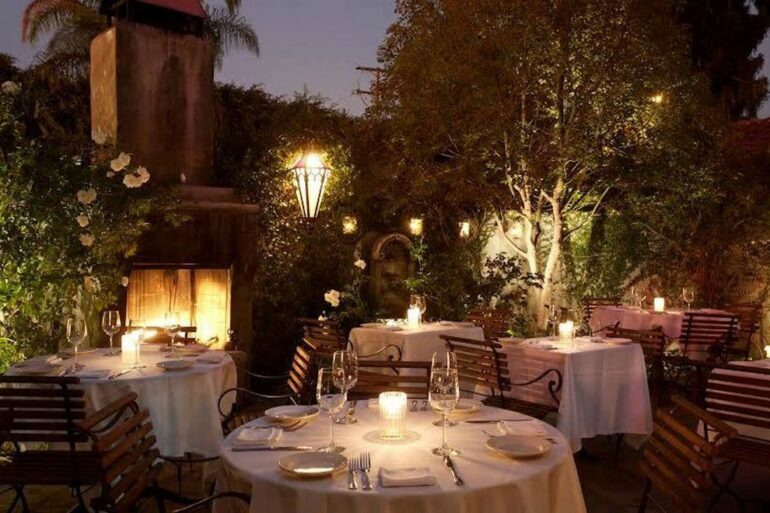 It is considered to be one of the most beautiful restaurant settings in this amazing city. Olive Beach is a Mediterranean theme restaurant that has star white walls accompanied with colorful motifs. These elements can actually make you feel that you are having a very romantic dinner in some pretty place in the Mediterranean Region. The Chef Manu Chandra has created an spectacular selection of gourmet dishes that will also help you get immersed in the mood of this great restaurant. It’s perfect to create unforgettable memories. This incredibly elegant and confortable restaurant offers an outdoor experience that is perfect for those who are looking to share an amazing romantic dinner under the starred sky and at the light of a candle. It gives you a great opportunity of having a very confortable time in this quiet and relaxing place. They provide you with a variety of continental dishes and a great only-wine-selection in order for you to have the best romantic casual under-the-stars candle-light dinner, plus delicious healthy options. Patron’s old time favorite, Rim Naam is a beautiful restaurant that people can’t just have enough. It is adorned with pretty lanterns and it’s surrounded by a canopy of trees that help set the mood. Rim Naas specializes in two things. One is to make sure that you have the best experience and remember this special romantic dinner for the rest of your life. And the second is Thai cuisine. It makes a great option if you want to rest from all the concrete of the city and be surrounded by a more natural environment. If you are looking forward to damp your beloved one with gourmet dishes, exclusive wines, the best attention, the fine restaurants is what you are looking for. The luxury environment is bound to make great impress on its guests. Just pick one of the beautiful tables that are by the astonishing glass window and browse through the great selection of Italian dishes that are masterfully prepared. It is also possible to request the chef to make something especially dedicated to your special partner on order to make the evening unforgettable. These are only ones of the most romantic restaurants in Bangalore. If what you look for is romance, you have nowhere else to go. We give you the best options for these special occasions.